Diabetes, which is also called diabetes mellitus, is a condition that occurs when your dog’s body can’t utilize glucose properly. Glucose is a kind of sugar that is used as the main energy source for the body’s cells. In a healthy dog, the amount of glucose in the blood is controlled by a hormone called insulin. Insulin is created by the pancreas. The food your dog eats is processed by the body and turned into glucose in the intestines. The glucose is then absorbed into your dog’s bloodstream and further into the tissues and cells of the body. The insulin produced by the pancreas helps transfer the glucose into the cells. If your dog’s body doesn’t produce enough insulin or doesn’t use the insulin properly, glucose builds up in the blood causing hyperglycemia. Hyperglycemia leads to the body’s cells being deprived of glucose, and your dog’s cells won’t have enough energy to function the way they should. During this state of metabolic starvation, the body starts to break down fat and muscle tissues, which become sugar in the liver. This process leads to weight loss. Dogs can have one of two different kinds of diabetes. The first type is called insulin-deficiency diabetes, and it occurs when your dog’s body doesn’t produce enough insulin. Insulin-deficiency diabetes is often caused by a damaged or ill-functioning pancreas. The second kind is called insulin-resistant diabetes, which occurs when your dog’s pancreas produces some insulin, but your dog’s body isn’t using the insulin properly, and glucose doesn’t enter the cells as it should. Insulin-resistant diabetes is more common in obese and senior dogs. Early diagnosis can lead to fewer complications with diabetes. If you start to see any of the symptoms of diabetes, it is important that you bring your pet in for an evaluation right away. A veterinary internist can easily diagnose diabetes. While diabetes can affect dogs of any age, it primarily affects dogs between the ages of four and 14. Female dogs are more likely to be diagnosed with diabetes than their male counterparts. Certain dog breeds also seem to be predisposed to diabetes. Diabetes is a condition that can develop at any time. There doesn’t have to be a specific cause. However, obesity is one of the biggest risk factors for diabetes. Age is also a risk factor because other diseases that aging pets develop can also lead to diabetes. Some of these conditions include heart disease, kidney disease, pancreatitis, urinary tract infections, skin infections, and overactivity of the adrenal gland. Certain medications can also increase the risk of diabetes. Corticosteroids are known for increasing the risk of diabetes in dogs. Even though diabetes can’t be cured, by working with a veterinary internist, you can help manage and treat the condition for your pet. After diagnosis, your veterinarian will give your dog an initial dose of insulin. They will also decide on a type and dosage for the insulin and show you how to administer the injections. Treatments may need to be adjusted based on your dog’s response to the initial treatment regimen. 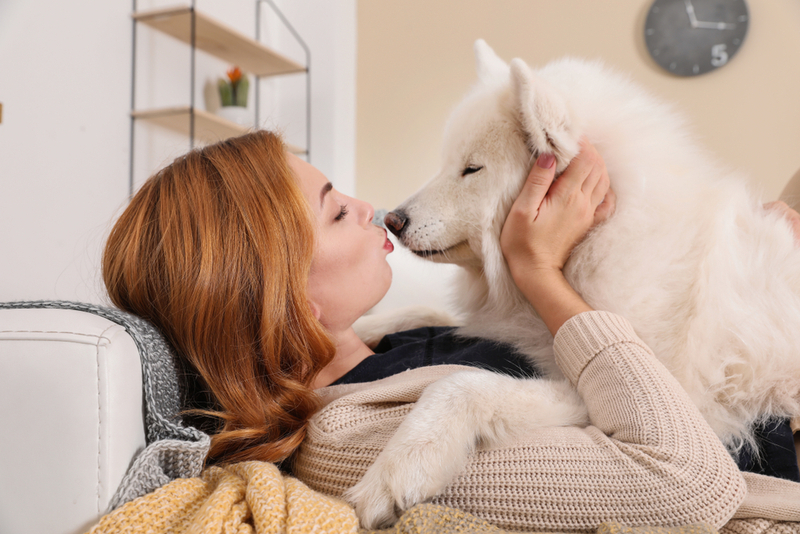 Over time, your dog’s treatment may need to be adjusted based on the results of the monitoring you will need to do to keep your dog’s diabetes in check. Dogs with diabetes will need a little extra care. First, there may be some lifestyle changes you need to make with your pet. Monitoring blood sugar levels will be incredibly important to ensure that you know if your dog’s blood sugar levels are normal, high, or low. Additional lifestyle changes will include a high-fiber diet and appropriate exercise, which can be challenging for a dog with diabetes. Female dogs should also be spayed. With diet changes, you will want to be consistent with timing, so insulin injections are on a routine schedule. Along with proper monitoring, these injections help keep your dog’s blood sugar levels in the normal range. When your dog’s blood sugar spikes too high or dips too low, they can become very ill. It is also important to follow your veterinarian’s insulin dosage precisely because insulin overdose and underdose can also lead to very severe symptoms such as tremors, seizures, and weakness. If you believe that your dog has undiagnosed diabetes, contact AESC right away at 720-842-5050. Our internal medicine team can help diagnose and treat dogs with diabetes. If your diabetic dog is showing signs of insulin overdose, our 24-hour emergency clinic can help care for your dog during this critical time.